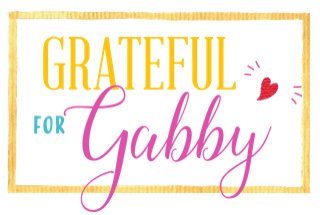 EVERYONE IS GRATEFUL FOR GABBY!! Mark your calendars, and plan to join us on Saturday evening, May 4, 2019,at 7:00 pm in a community celebration to honor Gabby Kaplan-Mayer's 20 years at Mishkan Shalom! Join us for an evening of food (of course), whole-family fun, music, and dancing. Religious school alumni, teens and younger children are more than welcome. It wouldn’t make any sense to have a party for Gabby without them. Non-children, too, are just as welcome. And former members – Gabby has touched a lot of lives in a positive way! Help us get the word out to alumni of the school and former school parents who are no longer members! Ticket prices - all tickets include celebratory program & dessert reception! If you cannot attend, please consider making a donation in Gabby's honor. If you are buying tickets and would like to make an additional contribution, you will have that opportunity when you check out by checking the button OTHER. Thank you! Thank you for supporting Mishkan with a generous heart! Your email receipt will be your ticket(s)/acknowledgment. Family ($100) Please indicate # of people in the notes section of checkout. Thank you!